When we got Gryff last March, the Michigan weather Gods weren’t quite done dumping more snow on us. If you live in Michigan, you know that it won’t snow until December-ish, and it will last until the first or second week of April. It’s something we get used to and something I complain about constantly because I think the snow should be around for Christmas then leave my presence until the following year. 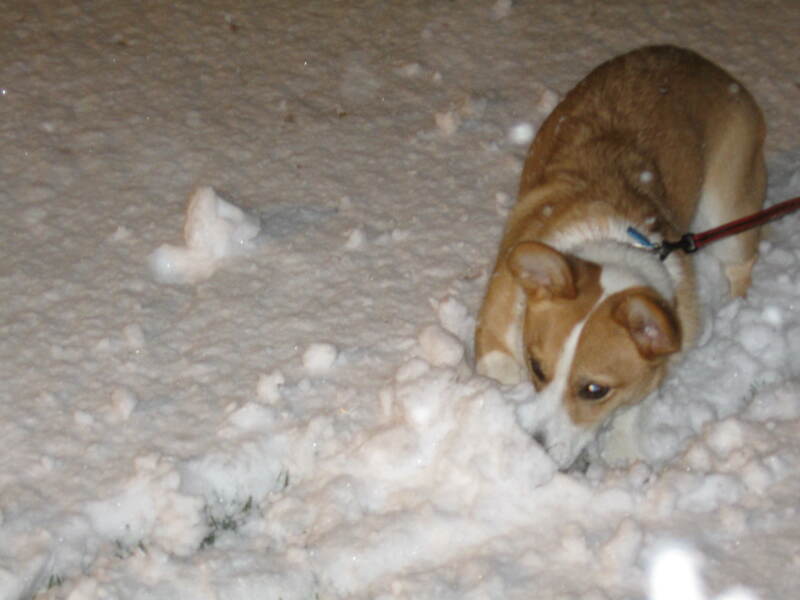 Gryff has seen snow before, but he was about 10 weeks old when he first saw it. It was clear he didn’t remember his first experience in the snow. 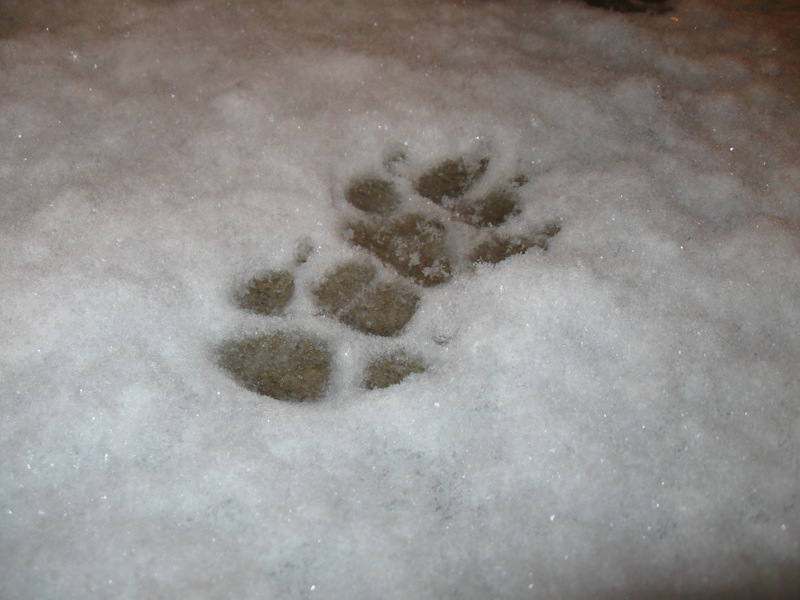 We got our first real hit of snow last night and I concluded that my dog was part-bunny. Investigating what these strange white specks are falling from the sky. This was before it really started to come down. 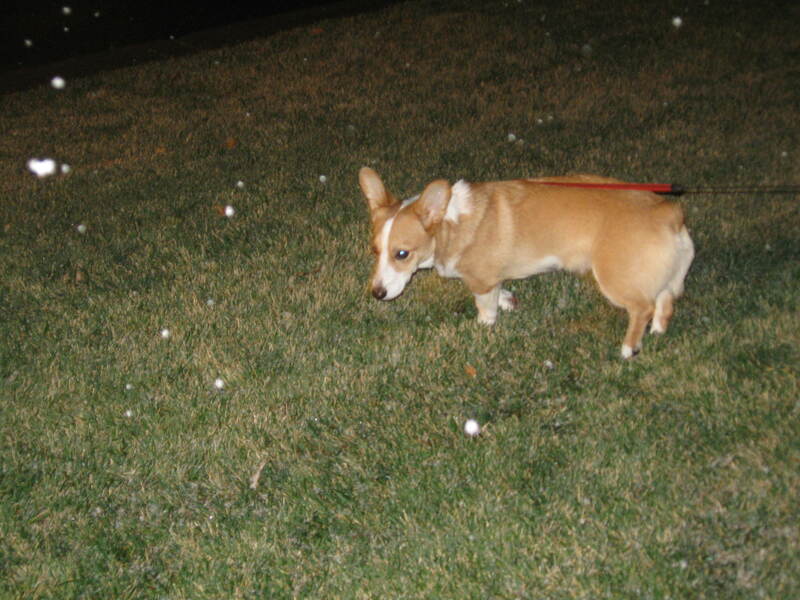 About two hours later, we had to take him out again and this time, it had accumulated. It was hard to get a snapshot of his paws. He was so excited that he kept stepping all over the place and covering up previous prints. 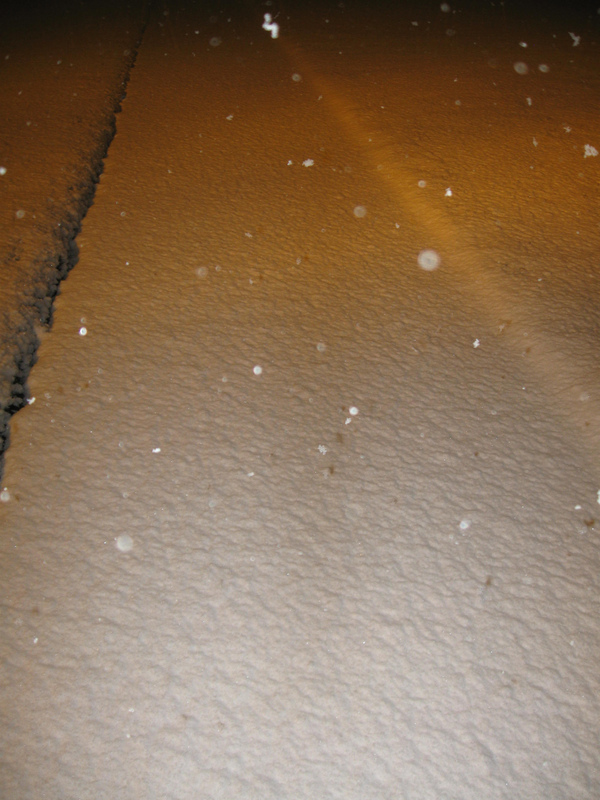 Doesn’t seem like much, but it got thicker as the night went on. 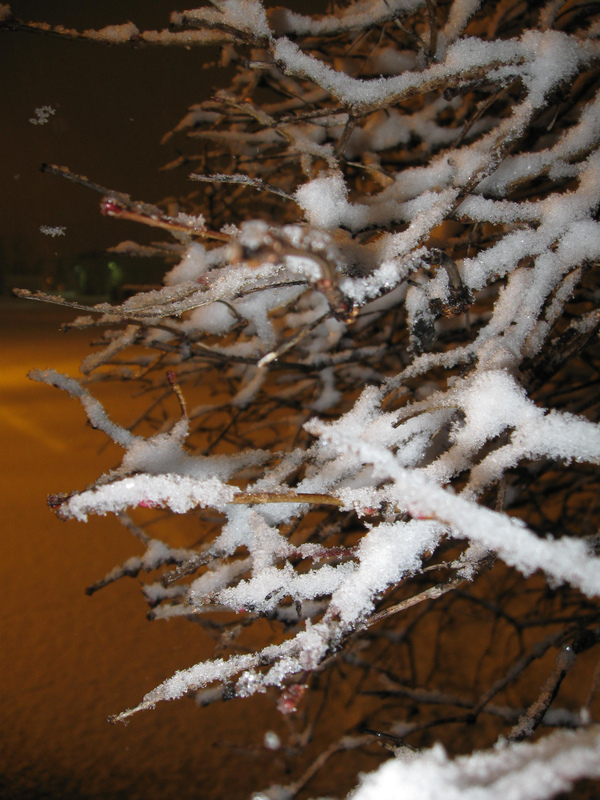 I love the first snowfall when it’s untouched and clean. I find this so peaceful and serene. …In about two or three months, remind me that I said the above comment. I won’t believe you because I’ll be too busy pouting and complaining about how the snow won’t melt and I wish spring were here. He quickly picked up on how much fun he’d had in the snow and when we were back inside, he stuck his nose through the patio blinds and whimpered because he wanted to go back outside. I already have a feeling that even though we could get 3 feet, or more, of snow on the ground, we’ll be making trips to the dog park this winter if it’s open. 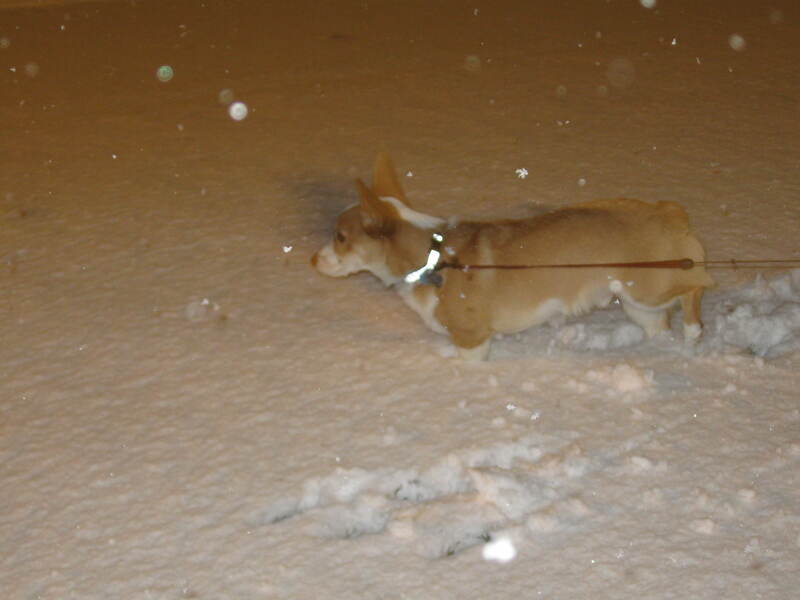 This entry was posted in Gryff and tagged corgi, Gryff, pembroke welsh corgi, snow, winter on December 9, 2009 by Aparna B..